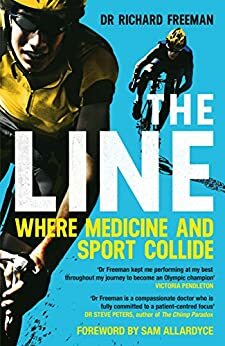 "Dr Richard Freeman did not appear at the digital, culture, media and sport (DCMS) committee last year, citing ill health, after being summoned over his involvement in a package given to Sir Bradley Wiggins after the Critérium du Dauphiné in 2011. He replied in writing but did not appear in person before the parliamentary inquiry. The UK Anti-Doping Agency spent 14 months investigating allegations that the package contained triamcinolone, a banned corticosteroid. In November 2017 Ukad closed its investigation, saying it was unable to prove or disprove that it contained a banned substance because of missing medical reports. The DCMS report concluded in March that Team Sky had “crossed an ethical line” in their use of the powerful drug. Wiggins, Freeman and Team Sky have all categorically denied cheating and insist the package contained a legal decongestant. Freeman, who resigned as British Cycling’s head doctor last year, said he did not appear at the select committee because of a “breakdown” brought on by the investigations." And yes, there is a detailed account of what was in that jiffy bag and how Dr Freeman came to lose the relevant medical records following a violent hotel break-in having failed to secure backups. Does Freeman's case for the defence hold water? It's impossible to be sure. His story is plausible but feels partial and self-exculpating. But then, everyone has an agenda around the Team Sky and British Cycling leadership (Brailsford, Sutton, et al). The DCMS came across as the voice of the prosecution, not a disinterested enquiry. And sometimes you get the feeling that the liberal establishment thinks winning is somehow a value-atrocity and is ultimately unforgivable, especially when it seems to involve a degree of ruthlessness, harshness and being unkind to some of the athletes some of the time. The book can be read as a psychometric test. Freeman comes across as an ISFJ. His depressive episodes are consistent with that, as is his focus on process, rules and hierarchy. He's a concrete kind of guy (as are many who choose General Practice). He doesn't do theorisation or abstractions. His writing is passive-aggressive. In his own mind he's been treated abominably and disloyally by his employers, betrayed even (and this may even be true). He's too loyal and decent to reply in kind, he thinks; so we get an aggrieved, long-suffering narrative. There's not a lot of humour or point-scoring to be found here. But if you're interested in an insider's view of a top road-racing cycle team on and off the road, there are plenty of nuggets scattered around .. and in the end it's an easy read.